The discovery could force archaeologists to rethink the widely held view that the early people of the northern Southwest, who would go on to build enormous masonry "great houses" at New Mexico's Chaco Canyon and create fine pottery, had little interaction with their neighbors in Mesoamerica. Other scientists are intrigued by the new claim, but also skeptical. The new research is "exciting, no doubt. … Archaeologists have been looking for Mesoamerican connections to the Southwest for 100 years," says Robert Hard of the University of Texas, San Antonio, who specializes in the archaeology of the Southwest and was not involved in the new study. But, he says, "I'm not convinced this is chocolate." The findings stem from collaboration between Dorothy Washburn, an archaeologist at the University of Pennsylvania's University Museum of Archaeology and Anthropology in Philadelphia, and her husband William Washburn, a chemist at Bristol-Myers Squibb in Princeton, New Jersey. 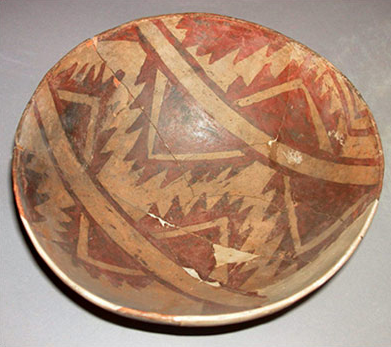 In an earlier study, they detected evidence of cacao in pottery from 11th century burial sites in New Mexico's Chaco Canyon and in vessels from other Southwestern sites. 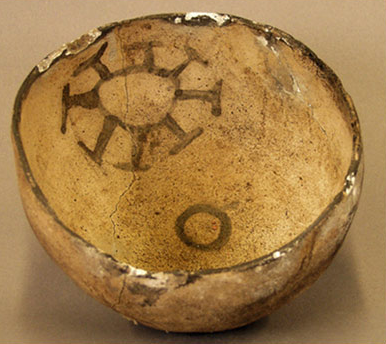 As a follow-up, the scientists tested bowls excavated in the 1930s from Site 13, which dates to roughly 770 C.E. The researchers swirled water in the bowls, then analyzed the compounds in the rinse water with a high-resolution liquid chromatograph-mass spectrometer, an instrument that separates the components of a mixture and then determines the mass of each. They found traces of the obromine and caffeine, both found in cacao, in nearly every Site 13 bowl they tested. They also found the telltale molecules in vessels from other villages close to Site 13 and from two Colorado villages. Site 13's cacao is the oldest in North America, eclipsing the Chaco chocolate by some 300 years. Humanity's cacao habit dates back to at least 1900 B.C.E to 1500 B.C.E., when Mexico's Mokaya people were already enjoying a chocolate drink. In Mesoamerica, cacao was mostly a food of the elite, who sipped a foamy chocolate drink, often spiked with spices, at banquets and other ceremonial occasions. But an 8th century village such as Site 13 probably would have been classless, so the chocolate would've been consumed by ordinary people. The results, combined with the team's earlier findings, show that "either a lot of people moved north or there was intensive trade bringing this cacao up" from Mesoamerica to the American Southwest, Dorothy Washburn says. "There's this incredible and sustained contact between these two areas." Until now, the only known imports from Mesoamerica into the northern Southwest were limited quantities of parrots, copper bells, and a few other items, says Washington State University, Pullman, archaeologist William Lipe, a specialist on the Southwest. Most researchers think the cultural development of the Southwest was largely independent of Mesoamerican influences, he says, but a chocolate-drenched Southwest implies that Mesoamerica's influence on Southwestern architecture and rituals might have been greater than expected. Other researchers, though tantalized, are also cautious, precisely because the new study and the authors' previous research have found so much chocolate. If cacao were so common, there would be stories or visual references or historical references to it, writes Ben Nelson, of Arizona State University, Tempe, who studies the ancient cultures of northern Mexico and the American Southwest, in an e-mail. Archaeologist Michael Blake, who studies agriculture in the Americas, casts doubt on the paper's suggestion that Site 13 residents may have consumed chocolate as a source of nutrition, either at home or on the road. By the time cacao got to the American Southwest, it would've been "scarce, prized, and extremely valuable," writes Blake, of the University of British Columbia, Vancouver, in Canada, in an e-mail. "I may serve caviar and fine champagne at my daughter's wedding feast, but I'm not likely to pack it in my lunch bag when I go on a camping trip." Dorothy Washburn responds that evidence of cacao's importance may well be found in other artifacts from the time, once such objects are reexamined in light of the new findings, and that practices relating to cacao may have died out if people stopped eating it. She also says that their findings don't rule out that the Site 13 villagers ate cacao mostly as a ritual food. At the very least, William Washburn says, the results suggest that "these people had acquired a taste for chocolate and knew how to prepare it"—making them not so different from modern-day chocolate lovers 1200 years later.